Elegant portable restrooms provide a convenience and comfort to your guests. 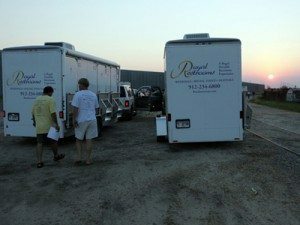 Our Portable restrooms are Beautifully Constructed and elegant looking to fit the appearance of a royal wedding. With our portable luxury units there is no extra scheduling or work for your perfect day. We think of all the answers to make sure it goes without a hitch.